Sooooo on to the cakes! Jungle Theme Birthday Cake- vanilla and chocolate tiered cake with vanilla buttercream. Fondant accents and 3-d hand molded figures. Mini Dummy Cake- I have been making more display cakes or "dummy" cakes for the shop this is one of them. Easter Cake- Chocolate cake with fondant accents and fondant 3-d bunny. Red & Black Polka Dot Cake- Red Velvet cake with Vanilla Cream Cheese Icing. Bowling Ball & Pin Cake- lemon cake with vanilla buttercream filling. Mario 25th Birthday Cake- White Chocolate Pound Cake with vanilla buttercream filling. Fondant accents and 3-d hand molded Mario. Bird's Nest Baby Shower Cake- vanilla and chocolate tiers of cake with vanilla buttercream filling. Covered in moldeling chocolate with moldeling chocolate accents. So I went out last week and got the Cake Pop maker by Babycakes, so as promised I will be giving my review of it. So I like the fact that it comes in an adorable purple color. Second, it heats up in no time! I mean I had it on maybe 5 minutes and it was ready to go. Now the down side is that since you can only bake 12 cake pops at a time, your cake batter will be setting for awhile, while each batch bakes. So you can imagine after a couple of batches the baking powder in the batter starts to active which isn't good:( So I guess the key is to make smaller batches of batter. Also I would use a denser cake batter because once the balls are baked up, you have to pluck them out of their little cavities. Recipes that bakes up light and fluffy will be noooo good because you will end of smooshing the balls like I did with my first batch. Sorry didn't take a picture.. I was too upset trying to figure out how to get the second batch better. All in all I think it is definitely worth the $25.00 it cost (unless you get it on sale like I did and paid $22.00!). It ends the hassle of having the bake cake, mix frosting then chilling the balls before you dip them. I am giving the Cake Pop Maker a B+ for the ease of use but I would love it if it was a little bit bigger to make more at one time. Well, these aren't cakes but they are something new Chocolate Chip Cookie Sandwiches. So everyone once in awhile I will get a request for a weird cake or something really cool and I think this falls into both of those categories! Zombie Cake- Vanilla cake with Strawberry jam filling. All of the parts are edible and made from fondant. I love how I made him crawling towards the intestines like he wants to eat them. LOL! What's a zombie cake without part body parts like brains, eyes and hanging limbs. So that's it for now. I will be blogging again this week because I have a lot of fun cakes this week...I will give you a sneak peak one involves a sport, another is a cartoon character and a baby shower cake. Okay so I know I am suppose to be blogging on a more consistent basis, but something always comes up and then I get busy and then I forget. But now since I am getting starting to get things more in order as far as the business is concerned, I have more time to work on my blogging and other things. So.... 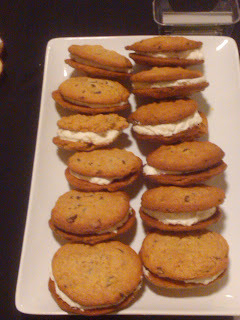 I have more orders and lots of wedding cake tastings which led to me booking more weddings! I have been experimenting with new products which I will talk about in another blog, but for now I want to talk about cake pops. Yes cake pops! Those sweet delicious lil balls of cake and frosting.. oh how I love cake pops. Most people do once they get to taste one. But they are soooo time consuming. I think they are perfect for birthday parties and weddings as favors for guest. If any of you out there who makes them I knows what I mean. They are cute and easy if you only have to a dozen or two... but if you have to like 5 or 6 dozen or even more than that, then it takes forever! Well.. I have found 2 new products that will make all of our cake popping days easier! 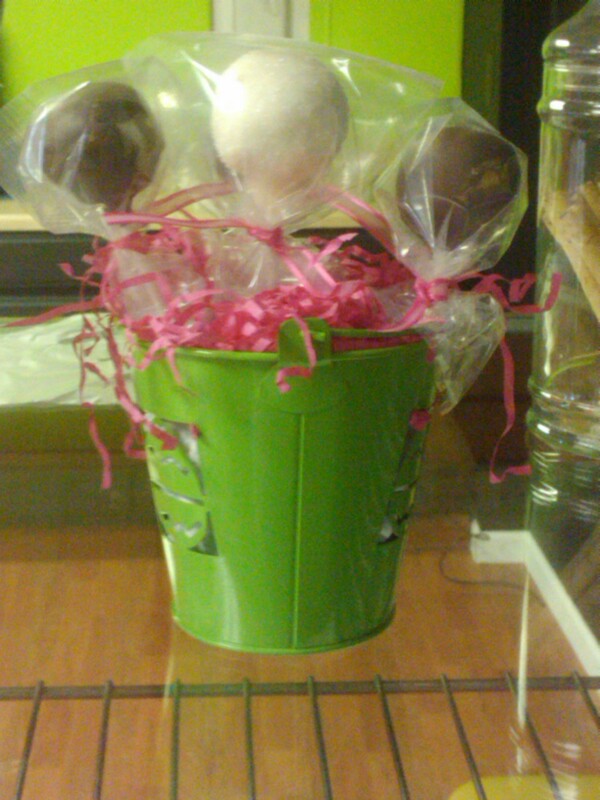 The first product is the Cake Pop Roller by Heavenly Cake Pops. They have a short video on their site showing you how it works. You basically make your own cake pop recipe then you put the mix into the roller and it rolls perfect little cake balls for you. 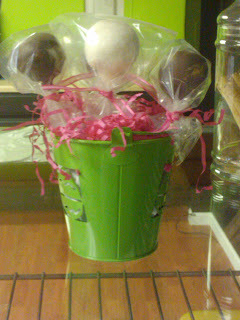 When I saw it I got really excited when I saw this thing because I hate lumpy looking cake pops and balls. Right now the owner of Heavenly Cake Pops is trying to get enough pre-sale orders to cover the cost of making them so you can get the Cake Pop Roller for $199.99. I know that may seem like a hefty sum for some of you, but you do them for family members and friends or if you are thinking about starting a cake pop business its great! You can order it directly from her site and she has a pre-sale end date of April 8th. The other product is the Cake Pop Maker by Babycakes. It comes in an adorable purple colors. It works by baking your favorite recipe into little cavities, that once baked makes perfect little cake balls. With this cake pop maker, no frosting is required you bake the cake right into the maker. For those who don't like overly sweet cake pops this is great because they are getting all cake. It make 12 cake balls in about 4 minutes depending on your recipe so you can easily produce a large number of cake pops in very little time. For those of you like me where there isn't enough time in a day to do everything, this is a godsend! Right now they are sold out on their website, but they did post on Cake Central that they should be expecting another shipment in the beginning of next week and will be taking more orders then. If you go through the Babycakes website they are selling it for $24.99! Yep that's it so it is soo affordable. Or if you live near a Kohls I have been told that they carry them there as well. The other lovely thing about this company is that no only do they make the cake pop maker, they have a donut, mini cupcake maker and whoopie pie maker! I am seriously considering getting all 4! So I will be stopping by Kohls this weekend to see if they have one available. If not then I will just order one online, but trust a review of this product is coming once I get my hands one. Normally I would post some pictures of previous cakes that I have done for customers, but today I will hold off on the pictures for another post because going forward I will be doing more posts like this one. I know some of you out there are fellow cakers and would love to know about these kinds of products or what other cakers are doing. So until next time..